Chief Justice Surendra Kumar Sinha on Thursday urged all not to do politics over the Supreme Court (SC) verdict scrapping the 16th amendment to the Constitution. The chief justice also said that SC would welcome any constructive criticism over the judgement but don't do politics over it. 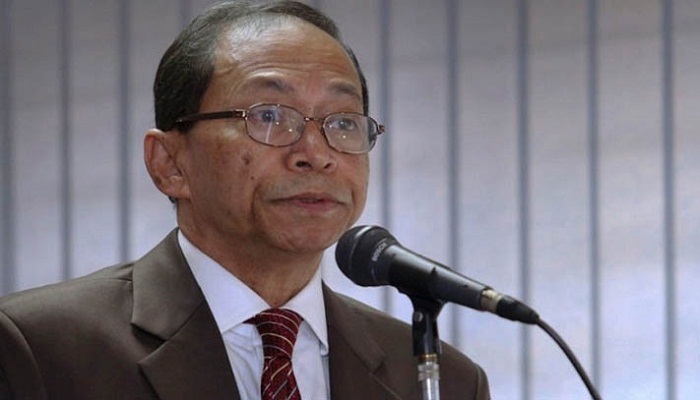 The CJ came up with this call when Supreme Court Bar Association (SCBA) filed a petition before the apex court seeking a contempt of court rule against Law Commission Chairman Justice ABM Khairul Haque for his comments on the verdict what they said tantamount to contempt of court. "We delivered the verdict following a unanimous opinion of the seven judges of the Appellate Division. We'll welcome any constructive criticism. But don't do politics over the judgment," CJ SK Sinha said. "The Supreme Court won't fall into any trap -- neither of the government nor the opposition," SK Sinha continued. He also urged the lawyers to help protect the judiciary. SCBA President Zainul Abedin placed newspaper reports on the remarks of Khairul Hauqe, also former Chief Justice, before a three-member Appellate Division bench, headed by the Chief Justice and sought action against the former Chief Justice. At a press conference on Wednesday, the Law Commission chairman said there are many irrelevant objects expressed in the verdict on the 16th amendment to the Constitution, shunning the main theme. "If you say the Members of Parliament are immature in this verdict, it also means the justices are immature," he had said. Earlier on July 3, the Supreme Court upheld the High Court verdict that declared illegal the 16th amendment to the Constitution establishing Parliament's authority to remove Supreme Court judges. The 799-page full verdict was released on August 1.